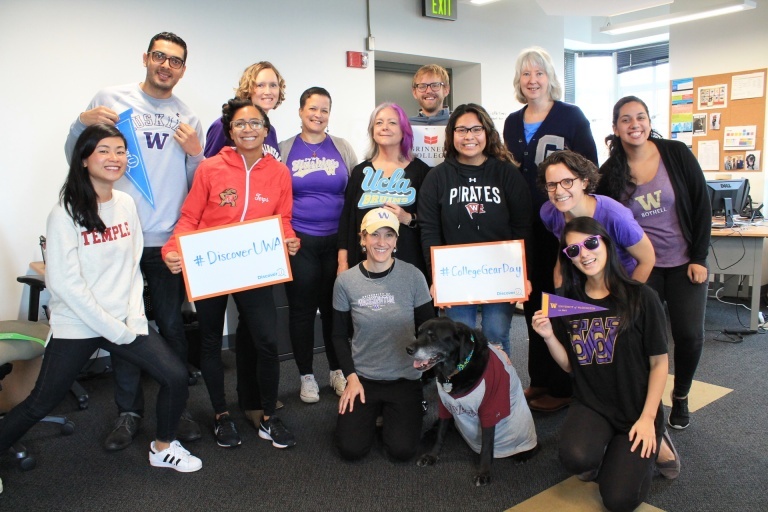 CCER staff on College Gear Day during DiscoverU 2017. As a collective impact initiative, the Road Map Project brings people and organizations together to work toward the same goal. The partnership works under a common agenda, uses shared measurement, fosters mutually reinforcing activities, and stays in continuous communication. All of this work is supported by a dedicated team. The Community Center for Education Results is a nonprofit created to serve as the Road Map Project’s backbone organization. The team provides data, research, communications, program, logistical, and other supports in service to the initiative. CCER began in 2010 to mobilize and launch the Road Map Project; a few more partners now share “backbone” responsibilities, including OneAmerica, Puget Sound Educational Service District, and Youth Development Executives of King County. Find a contact or submit general inquiries to info@ccedresults.org or call 206-838-6610. For media inquiries about CCER or the Road Map Project, contact Diana Huynh.